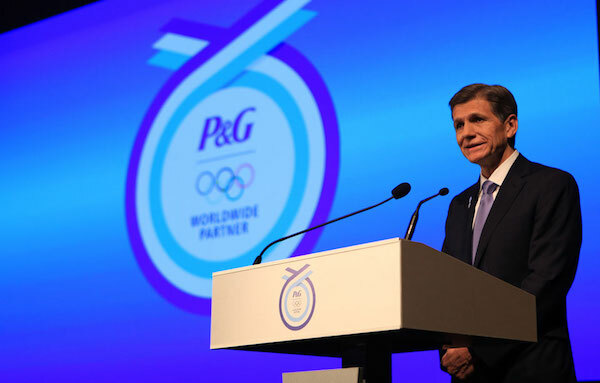 Congratulations to Procter & Gamble CMO Marc Pritchard on an excellent example of how marketers need to apply the Golden Rule. The Golden Rule is the Man with the Gold makes the rules. Or put another way, the market sets the price but the buyer sets the terms. But there is certainly an argument that for the past ten years marketing and procurement have been setting the price, using competitive tensions and tenders to drive down the agency fee but largely ignoring the importance of setting the terms. By terms I do not mean payment terms, but even the introduction of extended payment terms has been cost driven. No, the terms I refer to are the terms of engagement, the rules of how the marketer and their agencies and suppliers are to engage. The mistake many marketers have made is to assume that the terms of engagement would remain the same, even at a time of massive transformation and change driven by technology. Many marketers challenged by these changing demands have been clinging to the concept that somehow their agencies are their business partners and will continue to operate in their best interests. Likewise that the media publishers would also operate with their agencies on the same terms, even when the digital media ecosystem is nothing like the media landscape of the past. Marc Pritchard is a smart marketer and a marketing leader who has just recently undertaken a major rationalization of their agency roster, challenged their own Facebook strategy and set new quality standards for marketers and their agencies. So it is not surprising that he has now been the first to make a stand on media and in particular digital. But what has been holding back marketers from using the Golden Rule to define the new rules, or Golden Rules, for the way they engage with media, agencies and ad tech suppliers? It’s not broken so why fix it? It is very easy when you are busy doing a job to not see how what you are doing is broken, or even breaking. The phrase “cannot see the wood for the trees” is apt because often managing the various stakeholders and doing the implementation keeps you so busy that you rarely have time to step back and give yourself the required perspective to see the bigger picture. Many times marketers will commence a conversation with us regarding a particular problem, be it the lack or collaboration between the agencies, or trying to answer the challenges from their CEO or CFO on proving the value of the media budget or any number of issues that arise. 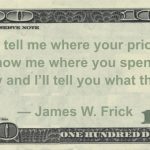 It is only on probing wider and deeper on the particular issue that you start to reveal the broader context of the problem and much of the underlying cause, which invariably is not simply changing agencies or bench-marking the costs. The other great difficulty is actually how to define what broken means as often the marketing function has no clear performance indicators or metrics that allow the marketing team to know how well they are performing. It could be that your agencies are actually holding it all together for you, but at what cost both short term and long term. So while the implementation plan is being delivered on time and hopefully to budget there is really no tangible or measurable way of knowing how it is performing. Yet underpinning almost all marketing functions is the fact that the way companies and brands go to marketing is shifting constantly. Technology is creating new channels and opportunities to communicate and engage with the customer and marketing budgets are getting spread thinner across an increased number of these channels. This is fine if you are not measuring the results of this fragmented investment. But what it does cause is often an increased number of agencies doing more with less and wanting more. So before you consider if your marketing structure and process is functional, it may be worthwhile getting a healthy dose of perspective by taking a critical view of how well you are set up to meet the current and foreseeable future needs of your marketing strategy. This is possibly the most common response to the challenges of the changing media and marketing landscape. After all it is a big problem and one that you may feel is way beyond your ability to influence. But this is probably because you feel that your marketing budget is not really your budget and is simply money you are given to do the work that others in the organisation demand you do. The fact is that the Golden Rule only applies if you have the Gold to allow you to make the rules. If you are a marketer who does not own or have say in the marketing budget then it is completely legitimate to place this whole issue in the too hard basket. Without the gold there is no way you can enforce the rules. Of course you could engage your stakeholders that do control the Gold in a strategy to improve the value of their investment, but then that is also hard because mostly they just want you to spend their gold doing what they want. And besides the question arises as to why you didn’t suggest this earlier. But if you do hold the Gold then the question is where do you start. Marketing functions today have become such disparate and complex arrangements that often you end up feeling that no matter where you begin it is all too hard. But we have found working with many marketers that often the problem is much larger and more complex in their minds and imagination than it is actually. Often simply the process of accurately defining the current state of the marketing function in detail will immediately identify the problems, issues and opportunities. It provides a perspective of the whole of the marketing function, rather than simply a list of specific problems or issues, in the context of the business needs and the marketing strategy. From clearly defining this current state you can get your own house in order before you then start laying down the Rules for your agencies and suppliers. It is also an excellent opportunity to invite influential stakeholders within the organisation into the process to garner support for the changes amongst your colleagues in the management team. This is the ultimate expression of the optimism that exists in marketing. The sad fact is that the marketers that take this approach are often the ones that end up going away. No wonder we hear that the tenure of marketers is slowly decreasing. But the changes occurring are industry wide and continuous. Expecting them to either go away or to not impact you make you like King Cnut commanding the tide to stay out, it is doomed to fail. Sure, you may have been able to get away with it so far but ultimately it is about applying the principles of marketing to the new marketplace, which is one that is impacted daily by technology that changes the way consumers behave. 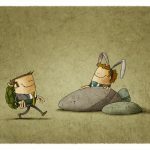 The fact is if you are not a digital native, then you have an advantage, because you are less likely in getting caught up in the next shiny new thing and you can provide some healthy skepticism in how this technology can be used, or even if it should be used as part of the marketing plan. But one thing it will not be doing is going away any time soon. One area where marketers need to be cautious is the issue of marketing technology, with many boards and C-suites being convinced by the larger consulting firms that the solution to the marketing needs can be found in any one of the marketing platforms from the tech companies they have either invested in or purchased outright. As many marketers we worked with have found, the promise of a technology panacea promised by many of these tech solutions means a significant capital investment in the company tech stack with no consideration to the best structure, resources or processes to optimise the outputs and performance it promises. In organisations riddled with silos and where turf wars reign supreme, this is the best excuse to justify avoiding the issue. After all technology decisions must be made by the CIO, data analytics is managed by the Corporate Insights team, while poor sales performance lies with the Sales Director and so on. This is completely plausible and an excellent strategy if you want to hide out inside the organisation for as long as possible. After all, if you do not make any decisions there is a decreased chance of getting fired, unless of course your job is to drive the transformation of the organisation to being more digital and customer centric. But digital transformation and customer experience is not the remit of the CMO alone and therefore there is an opportunity for marketers to collaborate with their colleagues in managing this transformation across the entire organisation and align it to the brand and marketing strategy. Just because it is outside your remit does not mean you do not have an important and valuable role to play in that transformation and of course to manage the requirements across your roster of agencies to support this. If you are unclear on what rules to make do not ask the other players as they will only recommend rules that give them an advantage to get their hands on more of your gold and win the game. And remember if you do not like the way the game is being played, then the man with the gold can always make the rules.